Metallica are streaming a previously unreleased demo of the title track to “Master Of Puppets”, as the latest preview to the November 10 release of a series of reissues of their 1986 album classic. The demo was recorded in the garage of The Carlson House in El Cerrito, CA in late June of 1985, approximately two months before Metallica entered Sweet Silence Studios in Copenhagen, Denmark with producer Flemming Rasmussen to begin official sessions for the project. 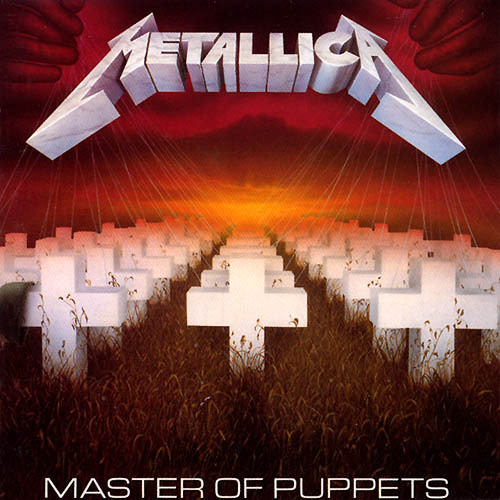 The unreleased recording is featured on the 2017 expanded editions of “Master Of Puppets”, including a 3-CD set that presents the remastered album, a disc that is a combination of rough mixes, demos and an interview, and a third disc featuring a mix of live songs that are sequenced into a typical set list from the Damage, Inc. tour. A limited-edition deluxe box set includes “unreleased demos, rough mixes, interviews and live tracks, many of which have never even been available in the collector or bootleg community and were pulled from our personal collections,” says the band. “There’s also a 108-page hardcover book with rare and never before seen photos and essays from those who were there with us for the wild ride. The remastered 2017 project will also be available on CD, vinyl and digital. Metallica will resume the fall European leg of their WorldWired tour in support of “Hardwired…To Self-Destruct” with a pair of performances at The O2 Arena in London that begin on October 22.